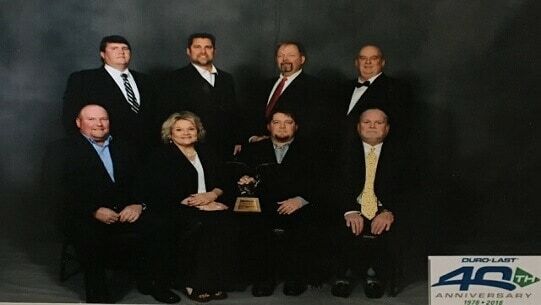 B & M Roofing Contractors, a Duro-Last platinum contractor in Rocky Mount, recently was honored with the Chairman’s Award during Duro-Last’s National Sales Seminar held in San Antonio, Texas during January 2018. The 2018 Duro-Last National Sales Seminar is the biggest event and this year marked their 40th anniversary. The event provided an opportunity to network with hundreds of attendees representing over 200 of the best roofing contractors in the industry. 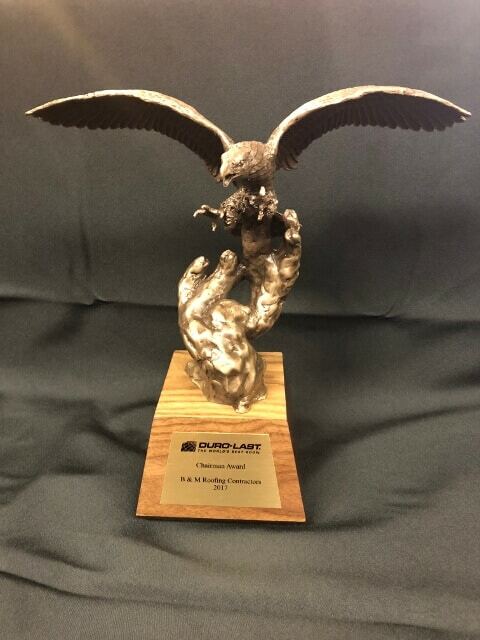 The Chairman’s Award honors contractors that achieve more than $1 million in sales as well as recognizing quality workmanship, customer satisfaction and sales excellence. B&M Roofing Contractors achieved this status by consistently going above and beyond for their customers with high-quality work and integrity. Known as the “World’s Best Roof”, Duro-Last, Inc. is the world’s largest manufacturer of custom-fabricated, thermoplastic single-ply roofing systems. Factory controlled custom-fabrication eliminates up to 85% of field seams, resulting in lower on-site labor costs and easier installation. This highly sustainable and extremely durable roofing system is leak-proof, virtually maintenance-free and resistant to chemicals, fire, punctures, and high winds. Over two billion square feet of Duro-Last membrane has been installed throughout North America. Duro-Last is headquartered in Saginaw, Michigan with additional manufacturing facilities in Grants Pass, Oregon; Jackson, Mississippi; Sigourney, Iowa; Carrollton, Texas; and Ludlow, Massachusetts.